A number of young Afghans who go to Iran seeking jobs return addicted to drugs, after employers forced them to take drugs to enable longer working hours. HERAT -- An alarming number of young Afghans who go to Iran for work are returning addicted to drugs -- drugs that employers forced on them so they could work longer hours. Some of these young former workers, deported from Iran and now living in Herat Province, told Salaam Times harrowing stories about their road to addiction. "I did not want to become an addict, but my Iranian employer made me addicted," said Ahmad, 28, who recently returned to Herat after working in a stone carving plant in Isfahan. A screenshot from a Salaam Times video shows Afghans who returned from Iran via the Islam Qala border crossing in Herat Province September 19. "[My employer] would tell me to 'use this drug and you will work better,'" he told Salaam Times. "I knew nothing about drugs. He always brought opium for me." "Eventually, I realised that I had become an addict, but it was too late," he said. Mohammad Ibrahim, 35, originally from Panjshir Province, told a similar story. "I worked in a company in Iran where my Iranian employer made me addicted to illicit drugs to boost my energy, so that he could make me work more and more," Ibrahim, who settled in Herat after becoming addicted to drugs in Iran, told Salaam Times. "When I began to suffer back pain, my Iranian employer told me: if you use these drugs, not only will your pain disappear, you can also work better," he said. "My employer made me addicted and later fired me without paying my wages." 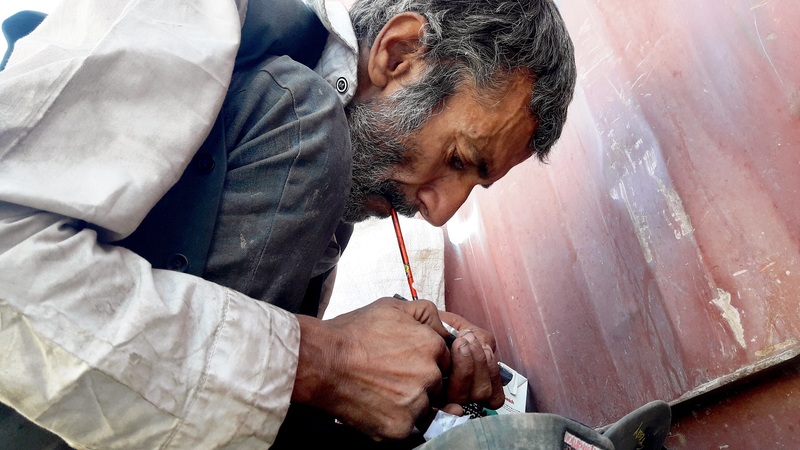 "I was working at a company along with an Iranian colleague who was addicted to opium," said Abdullah, who now lives on a roadside in Herat city. "I had no addiction whatsoever. But every day at work, my boss kept telling me: just take two drags [of opium smoke], and then you can work as much as you want without getting tired," he told Salaam Times. "I started out with those two drags and ended up an addict." More than 3 million Afghans have a drug addiction, according to a 2015 report by the United Nations Office on Drugs and Crime (UNODC). As of 2013, Herat Province contained more than 60,000 addicts who had become hooked in neighbouring countries like Iran, according to some estimates. "Unfortunately, we have witnessed in recent years that our young people return as drug addicts from Iran, and this is a cause for concern," Jilani Farhad, a spokesperson for the Herat provincial governor, told Salaam Times. 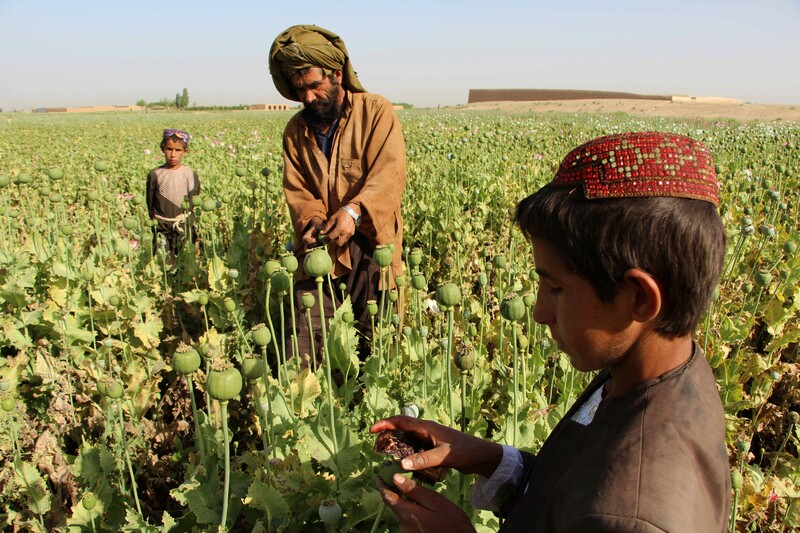 "According to some reports, Iranian employers encourage Afghan youth to use drugs ... to exploit these young men's ability to work," he said, echoing Ibrahim, the native of Panjshir Province. "Over the course of time, these young individuals become drug addicts." "We want to follow up through legal channels to protect the civic and human rights of these youth," he said. "Afghan youths in Iran are becoming addicted in large numbers, and Iran is obligated to pursue this issue," he said. "We think that these youth are being intentionally turned into addicts. We need to be cautious and vigilant." Most young Afghans who go to seek work in Iran return home as drug addicts, Afghan Minister of Counter-Narcotics Salamat Azimi said during a visit to Herat in January. "Our healthy compatriots go to work in neighbouring countries, including Iran, where they learn about modern forms of drugs before returning to our country addicted," he said January 4. "Addiction is a painful scourge that has been destroying the lives of young Afghans," Sayed Ashraf Sadat, a Herat-based civil society activist, told Salaam Times. "The source is Iran." "Regrettably, Iran has several reasons to entrap youth in the grip of addiction," he said. "[One of which is that] Iranian employers make them addicted so that they can make them work harder." Workers hooked on drugs stop noticing they are not even being paid, he said. Exploitative Iranians "intentionally get the Iran-based Afghan youth addicted and then use them as their drug dealers", Sadat said. "There are individuals and groups in Iran who stand to make a substantial profit." "Once these young men no longer serve the intended purpose, the Iranian authorities ... send them back to Afghanistan," he said. "The Afghan government hasn't set up a plan to prevent the addiction of Afghan youth in Iran," he said. "It hasn't investigated the Iranian government's role in this matter either." Afghan officials say they are working to treat addicts but have a staggering task. On average, between 2,000 and 3,000 Afghans return to Afghanistan via the Afghan-Iranian border crossing at Islam Qala, Herat Province, daily, said Ahmad Jawid Nadem, director of the Herat Provincial Department of Refugees and Repatriation. 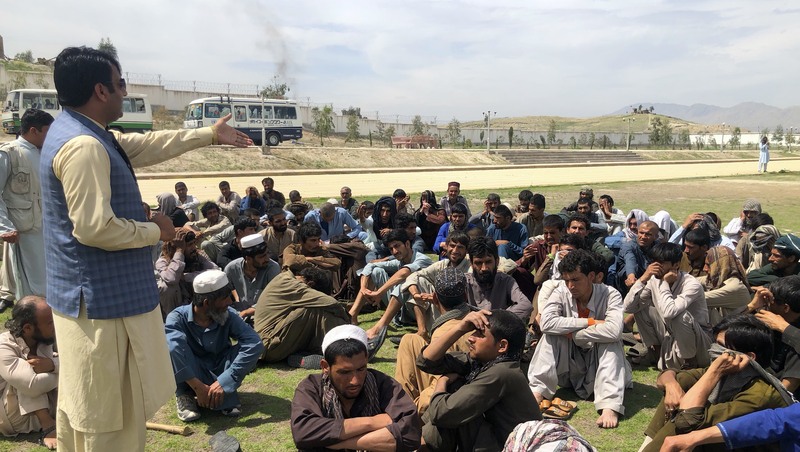 "Almost 80 Afghan addicts were deported from Iran this year," he said, adding that 5 to 10 Afghan drug addicts voluntarily return from Iran weekly. "We introduce these addicts to treatment centres," he told Salaam Times. Ghulam Rasool Haidari, head of the Counter-Narcotics Department in Herat, confirmed the weekly arrival of Afghan drug addicts from Iran. "It is a fact that young Afghans become hooked on drugs in Iran," he told Salaam Times. "Our main problem is that Herat is like a hub for addicts." "When our fellow Afghans from other provinces are expelled from Iran, they ... remain in Herat," Haidari said. "The number of addicts in Herat is rising daily," said Farhad, the governor's spokesperson. "We're in serious trouble when it comes to treating addicts who returned."